Posted on December 3, 2015 by Philip O'Hanlon. Situated on the Southeast coast of Florida, Fort Lauderdale is a gem to visit. The sea front is lined with palm trees and there is a beautiful sandy beach that looked deserted when I was there but I am sure is normally packed when the weather cooperates. Ansermet’s De Falla “Three Cornered Hat” played on the Giya G3 driven by the Luxman L-590AX was completely convincing with a huge, wide and deep soundstage. The performers were so accurately positioned across so that when you closed your eyes, you felt like you were transported to the first performance at the Alhambra Theater in London, 21 July 1919 (though we were actually playing the first stereo recording, from 1961 by DECCA). A really fun ballet with the local magistrate trying to seduce the miller’s wife, yielding real comic results. The Merging Technologies NADAC revealed so much detail that promises to surprise you as it may very well be the first time you hear them in this music. With soundstage so wide and deep, supporting what has to be the finest classical recording that I know of so far. 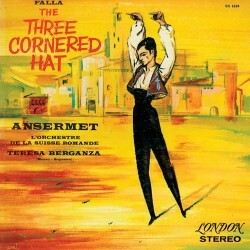 See our review of Ansermet’s De Falla “Three Cornered Hat”. If you have heard something better, please share. 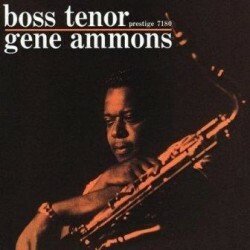 Gene Ammons – “My Romance” from Boss Tenor delivered a huge saxophone with lots of room ambience leaving our listeners spellbound. 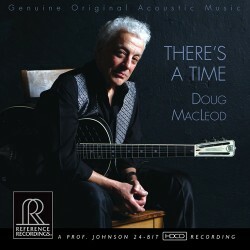 Doug McLeod’s stellar There’s A Time on LP was greeted with applause at the end of side 1. See our review of There’s a Time. Jason Llyod’s favorite was London Grammar’s If You Wait. While he really likes X, London Grammar offers more diversity between songs as well as a more talented singer. It’s also really well recorded and the vinyl is quiet & dynamic. As a matter of fact, I have given this album as a gift countless times this year. The Luxman presentation was well received by Jason’s clientele who up until now have only heard the Vivid speakers driven by Devialet electronics. Many listeners commented that the midrange was more fleshed out in comparison and more palpable. Certainly the Luxman / Vivid combo delivers goosebumps. This entry was posted in Show Reports and tagged "Is the Artist in the Room?" 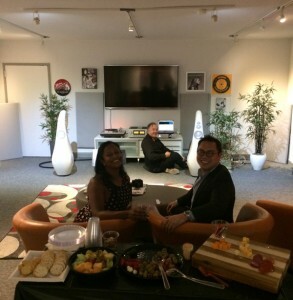 Music Seminar Series, Audio Elegance, DA-06, Giya G3, L-590Ax, MERGING+NADAC, PD-171AL.